Rules? There are no rules. No purchase necessary to enter, win or claim prize. A purchase does not increase the chances of winning. Sponsor. The contest is sponsored by Steel Bender Brewyard (SBB). The contest is in no way sponsored, endorsed, or administered by, or associated with Instagram, Facebook, or Twitter. By entering this contest you are releasing Instagram, Facebook and Twitter of all liability, which may arise, in whatever form, as a result of this contest. Eligibility. The contest is open only to New Mexico residents who are at least twenty-one (21) years of age at the time of entry. Employees of SBB are ineligible to participate in the contest. Void outside of the 50 United States and the District of Columbia and where prohibited or otherwise restricted by law. Agreement to Official Rules. Participation in the contest constitutes an unconditional agreement to and acceptance of these Official Rules and the decisions of SBB, which are final and binding. Winning the prize is contingent upon being fully compliant with these Official Rules and fulfilling all other requirements set forth herein. Contest Period. The contest begins on July 14, 2017 at 4:00 p.m. Mountain Daylight Time (“MDT”), and ends on July 23, 2017, at 8:00 p.m. MDT. Entries received before or after the contest period will be disqualified. To Enter. In order to enter the contest, contestants must post of photo on Instagram of themselves in their youth, experiencing a great moment influenced by music (which could be from their first piano recital, at band camp, with their favorite band teacher, attending their first/favorite concert, dancing to music, purchasing their first piece of music (sheet music, vinyl record, cassette, 8-track, CD). Contestants must tag @steelbenderbrewyard in their Instagram caption, provide a brief "story" behind their photo, and they must use the hashtag #CheersToFutureRockstars in the post. Several employees and/or owners of SBB will select the best posted photo(s) as the winner(s). Contestants can enter as many times as they like, although this does not increase their chance of winning. 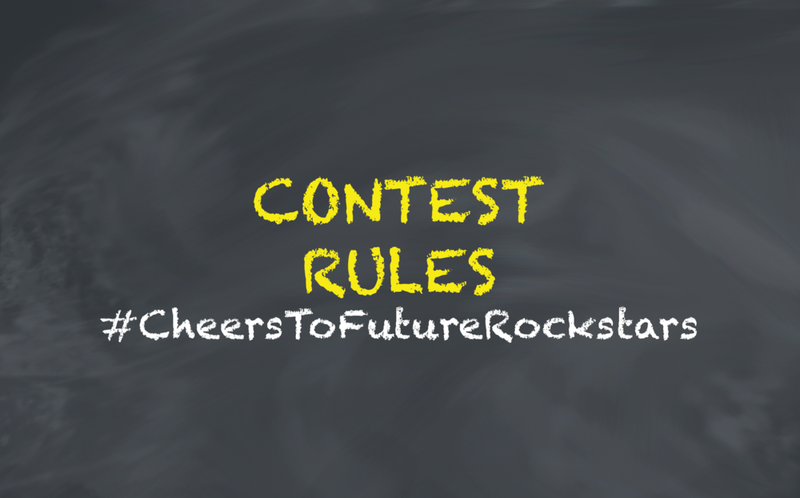 By entering the contest, contestant agrees to the contest rules. By entering the contest, contestants acknowledge that they are not using a copyrighted image or an image with trademarked content. SBB retains full discretion with regard to posted photos and can remove them at their sole option. Winners will be notified privately by Steel Bender Brewyard through Instagram direct message by 8pm MDT on July 24, 2017. Prize Details. The contest prize consists of one pair of tickets to the Tedeschi Trucks Band concert at Sandia Casino Amphitheater on July 27th. In order to receive the prize, the winner must provide SBB with his/her full name and mailing address, which may be submitted to SBB through private message on SBB's Instagram page. The winner must claim the prize during business hours at Steel Bender Brewyard at 8305 2nd St. NW, Los Ranchos de Albuquerque, NM, and must provide proof of identity and mailing address provided. Awarding of Prize. All decisions by SBB relating to the contest are final. Except where prohibited, acceptance of the prize constitutes the winner’s consent to the use of his/her name and/or photo without further compensation for advertising, promotional and publicity purposes by SBB. By accepting the prize, the winner verifies his/her compliance with these Official Rules. Odds. Odds of winning depend upon the number contestants who enter the contest. 10. Use of Data. Contestants’ personal information will not be sold or shared by SBB with any third-party. 11. Taxes. The contest winner is solely responsible for reporting and paying any and all applicable taxes. 12. Other Conditions. All federal, state, and local laws and regulations apply. SBB reserves the right, at its sole discretion, to cancel, terminate, modify or suspend this contest or any portion hereof, or to disqualify any contestant. By entering, each contestant represents and warrant (i) that he/she owns the photo submitted, (ii) the photo does not violate the rights of any third party, (iii) the photo has not been altered or enhanced with any software. No lewd, crude or offensive photos (as determined by SBB in its sole and absolute discretion) will be accepted. SBB is not responsible for lost, late or misdirected entries, server unavailability, computer or any other electronic malfunction.